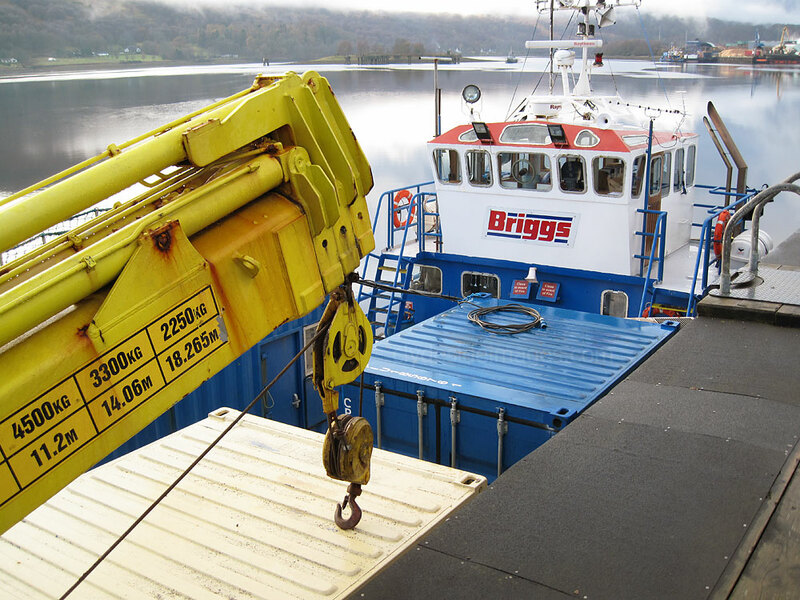 This Gallery features the various vessels of Serco Marine and Briggs Marine, most of which are used to support Royal Navy operations. 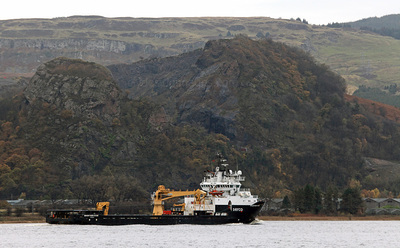 In 2007 the Burntisland-based Briggs Marine group secured a 15-year £100m marine services contract to provide navigation buoy maintenance and mooring support for the Royal Navy. The mustard and black Serco vessels have all now been repainted in the company`s new black and white colour scheme. 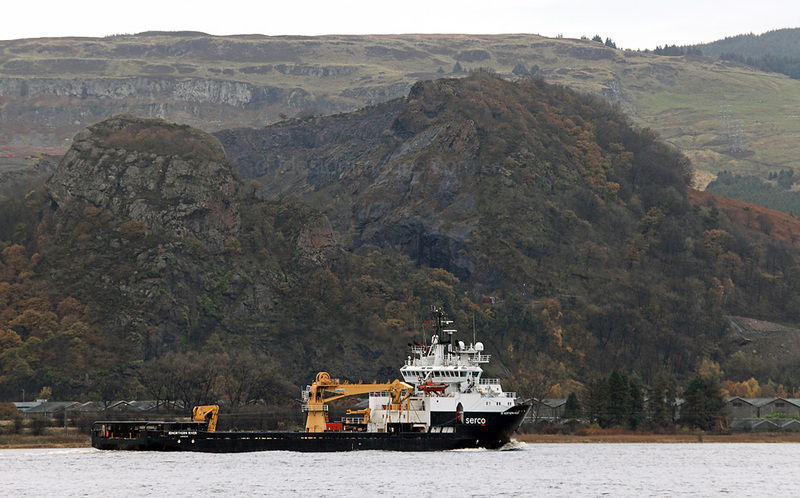 Ex-Royal Navy tenders are also included in this Gallery, most shots having been taken on the Clyde. Forth Fighter of Briggs Marine, Loch Linnhe outside the Corpach Sea Lock, Caledonian Canal. The Royal Maritime Auxiliary Service was a British Government agency which ran a variety of non-combat support vessels for the Royal Navy. 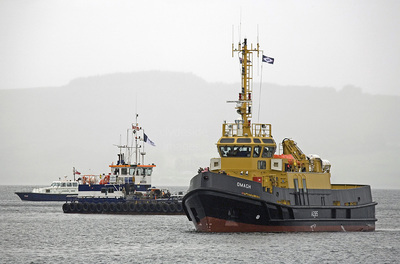 The RMAS was disbanded on 31 March 2008 and Serco Marine currently have the contract to carry out work previously undertaken by them for the MOD. 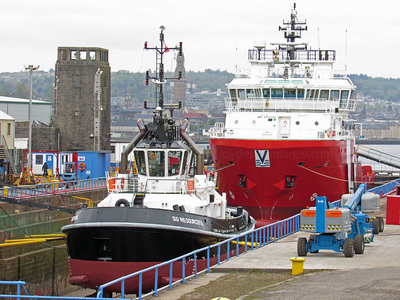 This is T.S. 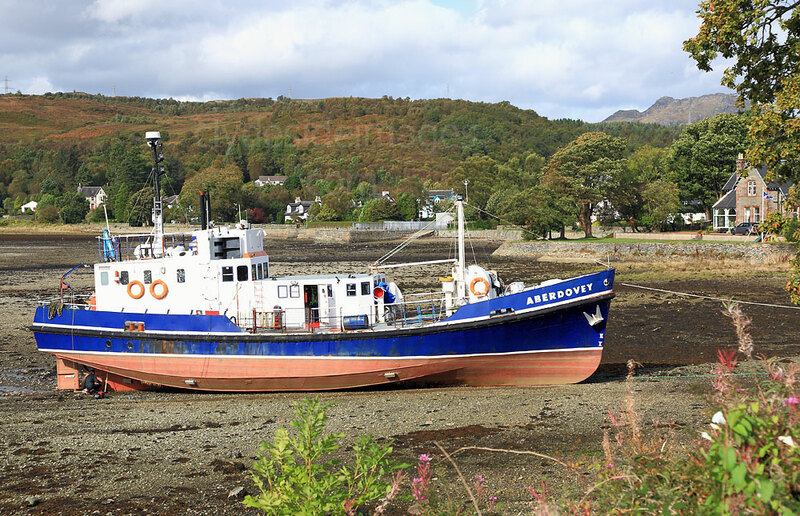 Aberdovey, an ex-Ministry of Defence 79-Class Fleet Tender, seen here at the head of the Gare Loch at low tide. 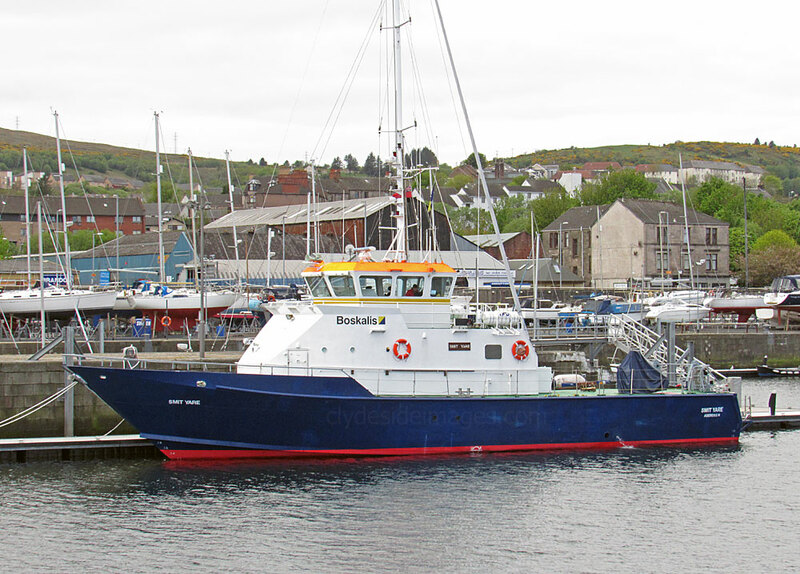 She was built in 1963 by Isaac Pimblott & Sons at the Weaver Shipyard at Northwich and was latterly used as a Sea Cadet Corps training ship at Portsmouth before being purchased by a private buyer. 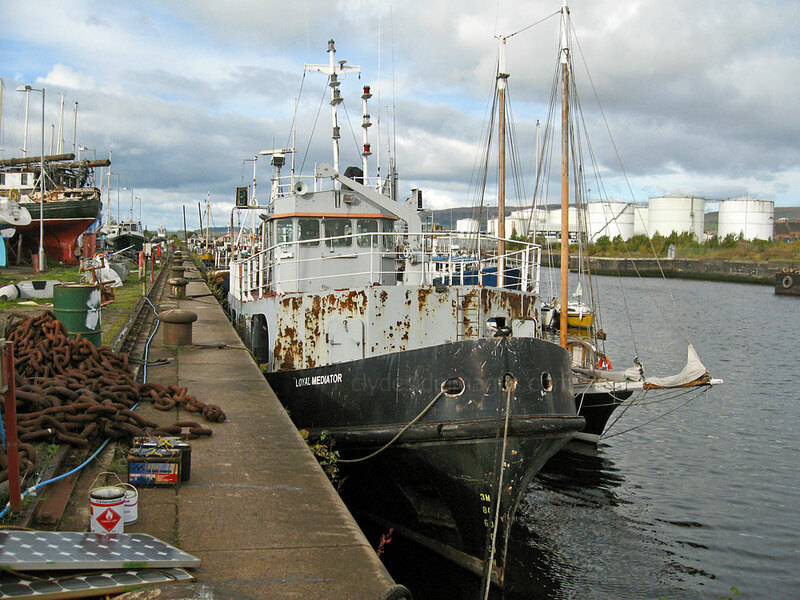 The Loyal Mediator is one of the Clyde Boatyard`s long-term residents as are the ferries Yoker Swan and Renfrew Rose. 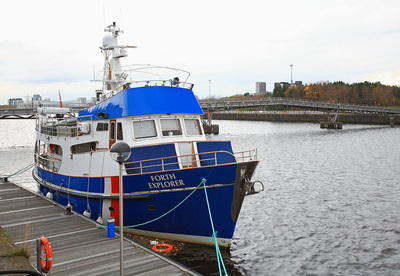 The former Royal Navy tender dates from 1978 when she was built at Richard Dunston's yard at Thorne on the Humber as one of the 'Loyal' class of nine similar tenders operated by the Royal Naval Auxiliary Service. 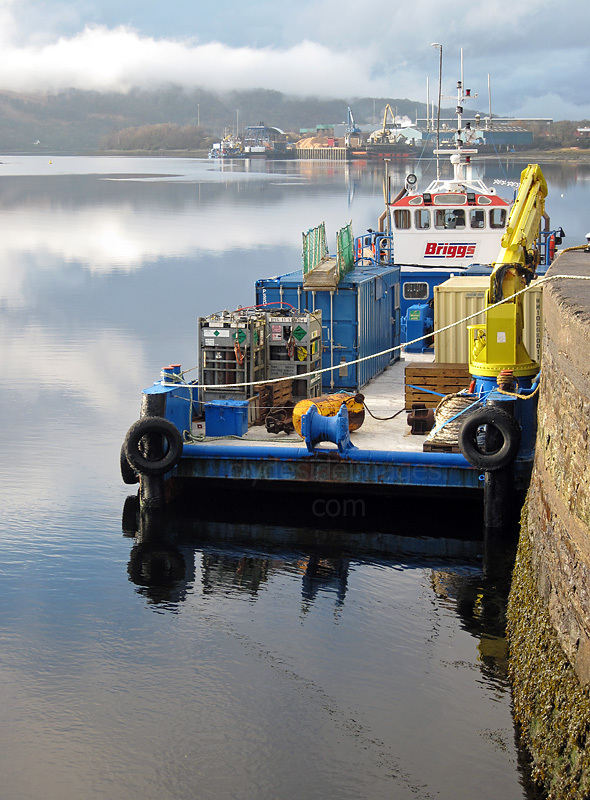 Following decommissioning, she has been employed as a commercial diving tender, and has spent considerable time working from bases on Scotland`s west coast. 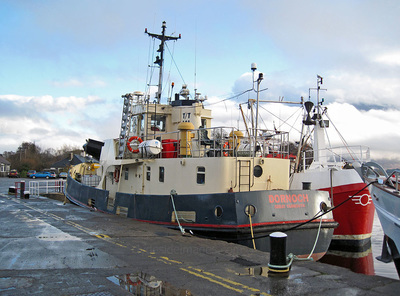 In 2001 Loyal Mediator was instrumental in finding the wreck of a sunken British destroyer, HMS Exmouth, which had been torpedoed off Caithness in March 1940.